The selca of Shin Wonho, a member of boy group Cross Gene, was published. 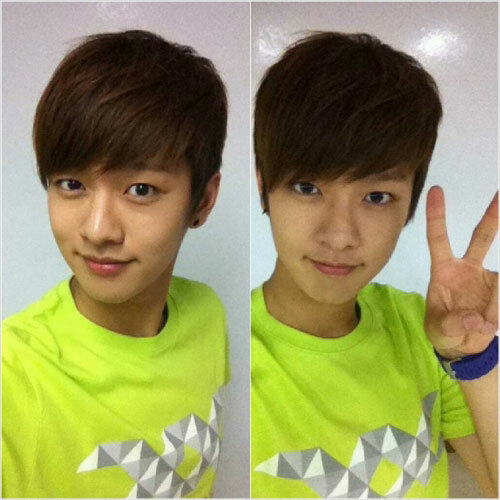 On June 13th, 2012, Shin Wonho tweeted on the official Twitter of Cross Gene, “I am making preparation for the premiere,” and uploaded a selca photo which he took in the training room. In the photo, he was dressed in fluorescent t-shirt printed with the group logo, smiled and looked adorable. Recently, Shin Wonho is playing th role of 18-year-old high school student in drama “Big“, the class of stardom captivating the hearts of many sisters and fans. Netizens commented on the photo, “Truly has star power,” “Good luck on the premiere,” “Touched by your cuteness,” and so on, expressing their support for him.